This rainbow drawstring bag is practical and useful for anyone with a busy lifestyle. 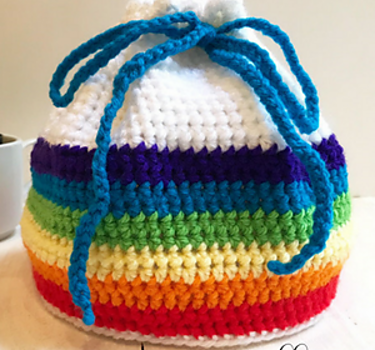 Rainbow Drawstring Pouch by Melissa Hassler has strings to tighten and loosen the bag and it’s just the perfect size for kid’s blocks, pens , crayons, small notebooks or maybe little skin-care products. My rainbow drawstring pouch is the first of five rainy day projects I have planned for this upcoming week. I’m in Maryland and we are expected to get rain for the next seven days. I thought it would be fun to challenge myself to design some smaller crochet projects that can each be completed in a day. A Cutie Cute Little Pencil Pouch! 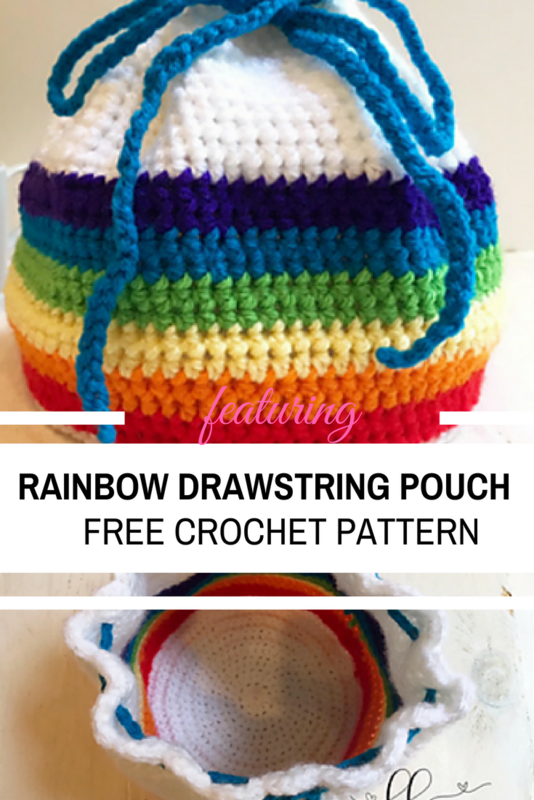 Check out the Rainbow Drawstring Pouch Free Crochet Pattern at: Lovable Loops. [Free Pattern] These Crochet Kitchen Towels Are Gorgeous!